Lightfoot supports upgrading Chicago’s transportation network with more bus lanes, bike lanes and off-street trails – all of which have proven to boost the health, sustainability and equity of Chicago neighborhoods. She says progress on safe streets has slowed in recent years and she would “redouble Chicago’s efforts,” citing declines in the number of bump-outs, enhanced crosswalks and bike lanes relative to peer cities. Lightfoot says she will establish a new $20 million line item in the Chicago Department of Transportation’s annual budget for street safety projects on the city’s highest crash corridors, many of which are in historically disinvested communities on the South and West Sides. Lightfoot supports building a continuous biking and walking trail along the Chicago River’s north, south and main branches to increase neighborhood connectivity citywide. 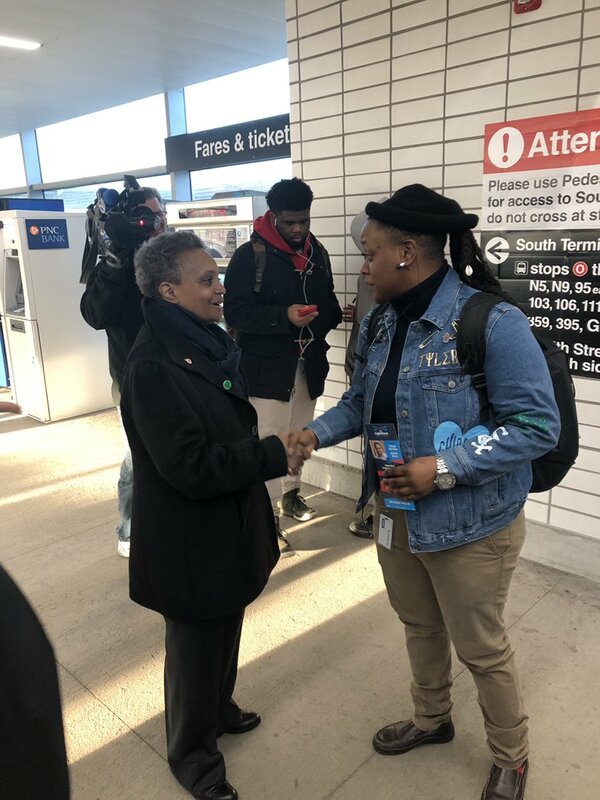 Regardless of one’s age, ability, income, race, gender or zip code, all Chicagoans should have safe, convenient and affordable access to jobs, schools, healthcare and recreation. Universal transportation access is critical to building healthier, more sustainable and equitable neighborhoods across Chicago.